Luxurious Cars Oakville – Budds’ BMW Oakville. Searching for luxurious cars Oakville is easy when you visit our Budds’ BMW Oakville dealership, or go to our website online. Our inventory is stocked full of new and pre-owned luxury cars and we can get you behind the wheel of something that you will have an exhilarating experience while driving. With BMW being such a widely known and reputable auto maker, we like to provide our clients with world class customer service that correlates directly with our reputation. When you come into our Budds’ BMW Oakville dealership to look for luxurious cars Oakville, you will be met with the highest quality customer service from the moment you step foot inside. Our representatives are here to assist you in your luxury car purchase and make your experience as pleasurable as possible; this is an exciting time for you. Luxurious cars Oakville should be built in a way that exudes comfort and elegance. At Budds’ BMW Oakville, we have a plethora of vehicles that do just that, and they are waiting for you to get behind the wheel and experience their sheer driving pleasure. Luxury is about pleasing the senses. BMW is known as a luxury car brand not because everything they make is luxurious, but because most of what they produce is very high-quality and pleasing to the senses; BMW vehicles look and feel good. 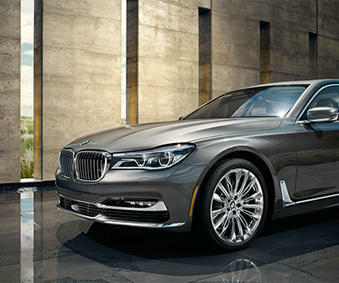 BMW has earned its reputation as being a luxury brand because of the consistency in which they can produce cars that look good, are high quality, and have compelling features. Luxurious cars Oakville are about quality, comfort, good looks, and visually appealing designs. Mix in all of these ingredients with a little bit of optimal driving performance, and you have yourself a BMW luxury vehicle. By visiting us at our Budds’ BMW Oakville dealership, or going to our online inventory on our website, you will be able to choose the luxurious cars Oakville that catch your eye, and schedule a test drive of those vehicles as well. If you are a luxury car enthusiast and you know what features you want your vehicle to have, we can create a custom luxury car for you. On our website, you have the option to ‘build and price’ your own BMW vehicle. You can create your own luxurious cars Oakville by adding the interior materials you want, the operational features you want, the color of the car, the wheel style and size, and the list goes on. Budds’, BMW Oakville has given you the option to create your own luxury car if you are not able to find the exact vehicle you are looking for on our website or at our dealership. If you are an Oakville resident and you are looking for luxurious cars Oakville, we recommend that you come into our Budds’ BMW Oakville dealership or go to our website online. We guarantee that you will be able to find the luxury car of your dreams and our associates are here to assist you along the way. You can feel free to contact us via phone or email if you have any questions.